I Survived! A Night of Pampering. 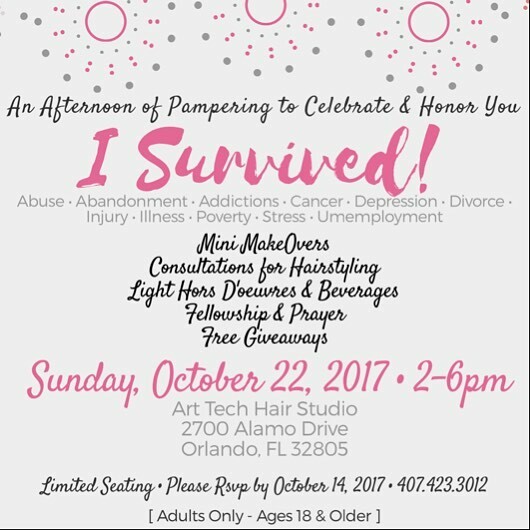 Art Tech Hair Studio will be hosting our first annual “I Survived” Afternoon of Pampering event for All Women who have overcome Trials in Life. To donate items or a sponsor please contact us at 407.423.3012! If you’d like to be an attendee please RSVP at https://www.eventbrite.com/o/15008954354 . Seats are limited. See you there!! Our clients engaged in a 30 day fitness challenge where they were given a prize to whom ever lost the most weight. Each week a new fitness video was posted for those in the challenge. We spoke on the importance of water, exercise, and eating healthy food. With 15 contestants, our winner Shontae was in the league losing 16 pounds! We encourage each of our clients in order for healthier hair you have to live a healthier lifestyle! Our contestants worked a hard 30 days and we are proud of each and every one of them. 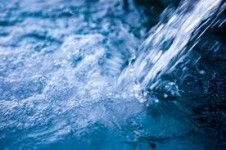 I find it to be one of my greatest challenges is to drink the recommended half your weight in ounces of water. So people add lemon juice or crystal lite to enhance the flavor. Sometimes I am just not thirsty. I will make it a point to improve this area of drinking more water this is an important component in my weight loss success. 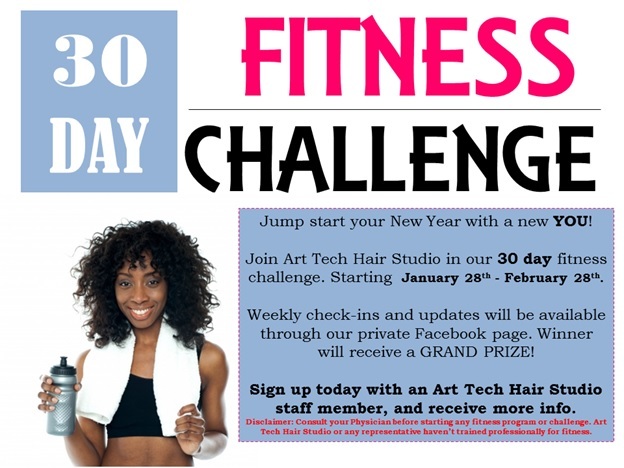 Art Tech Hair Studio is excited to announce our first winter Health &Weight Loss Challenge! The purpose of this fitness challenge is to help our clients in their pursuit of obtaining a healthy fit lifestyle. As well as to create a fun and supportive way to shed those unwanted pounds. All participants must weigh in with an Art Tech staff member before January 11, 2014. You may stop by during normal business hours to do so. All participants must complete a final weigh in with an Art Tech staff member to be eligible for the grand prize. The challenge will start on Saturday, January 11th and end on Saturday March 8th. 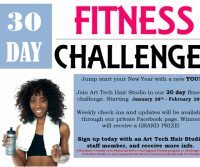 Grandprize will include a make-over at Art Tech Hair Studio, Photography Session and $50 Print Credit from Step317 Photography , massage and free products! This is our first blog and we are excited to be able to do this blog page. Very soon we will begin to discuss different hair care tips and ideas for various hair types including those with natural and chemically processed hair. 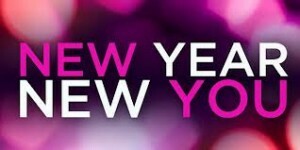 Be sure to check back in the New Year!